At Town Center Dental of LaGrange, we treat patients like family. From your very first visit as a new patient, we will begin earning your trust and building a lasting relationship with you as your dentist. Dr. Paes leads our modern dental practice as a compassionate and highly skilled dentist who is able to perform a wide range of dental services under one roof. From our advanced dental technology and experienced staff to our relaxing patient amenities and affordable care, we hope you’ll feel confident in your choice to let us care for your smile. Our Lagrangeville office is equipped to handle all types of dental concerns, including preventive, restorative and cosmetic dental services. Our team realizes the undeniable link between your dental health and your overall health. Therefore, we are committed to helping patients maintain healthy teeth and gums throughout all stages of life. Our investment in dental technology and the pursuit to stay at the forefront of our field allows us to deliver top quality dental treatments to nearby families. As a new patient, we invite you to take advantage of our ability to provide hassle-free dental care, which includes convenient scheduling, flexible payment options and much more. Your first appointment with us will include a thorough evaluation of your oral health while you enjoy our peaceful, modern office environment. We will collect information about your medical history and take digital x-rays to assess your dental health further. One of our skilled hygienists will also perform a professional dental cleaning to ensure you leave with a fresh and brilliant smile. 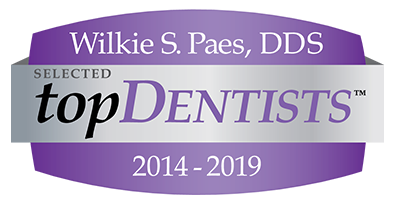 At the conclusion of your appointment, Dr. Paes will set aside time to discuss any dental concerns that you may have or any problems that were revealed from your exam. We want our patients to understand the status of their dental health so that they can make informed decisions about their treatment plan. Rest assured that if you need further treatment, we can handle it right here at Town Center Dental of LaGrange. Our patients rarely need to be referred out for restorative or specialized care. For more information about what to expect at your first dental visit, please contact us today. We look forward to helping you achieve the smile you deserve. Don’t forget to ask us about our easy financing options and extended appointment times.